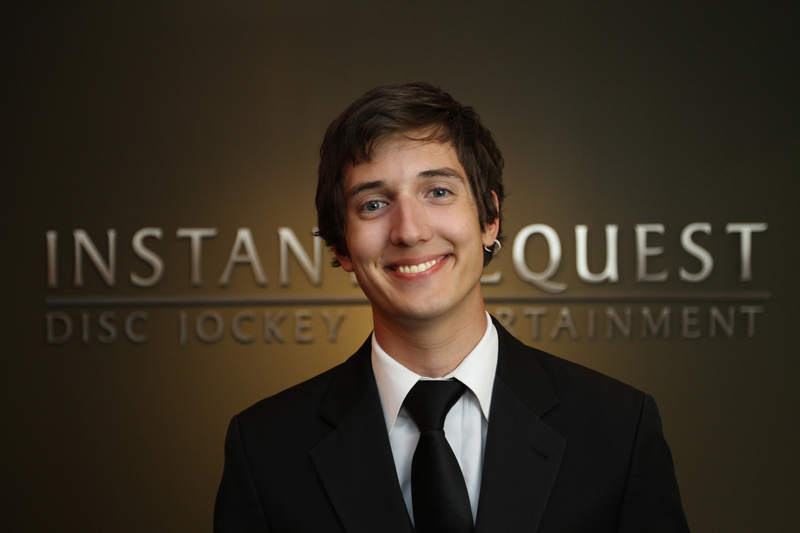 Born and raised in MN, Josh inherited his music knowledge from his father and his extensive music collection. From a young age Josh learned to play the guitar. As he grew so did his interest in new styles of music. Josh has created an impressive personal music collection and is often the person you reach out to when you can not remember the name of a song. When Josh is not listening to music or DJing he can be found biking, reading, or traveling. Josh has even become fluent in Spanish from traveling over the years. The online event planner was extremely useful. We preferred to complete it on our own time, rather than taking time off of work to meet with a DJ. We would not change anything. Josh Perkins was an amazing DJ. He was professional, adaptable and definitely loves what he does. He followed our guide exactly and fit our style perfectly. Instant Request does a great job at putting engaged couples at ease. The planning process was fun with the guide and did not induce stress. We were very happy with the discount that was offered fall 2015. It was what made us decide Instant Request when comparing it to Bayview Event Center’s preferred DJ company. A competitive price was very important to us.